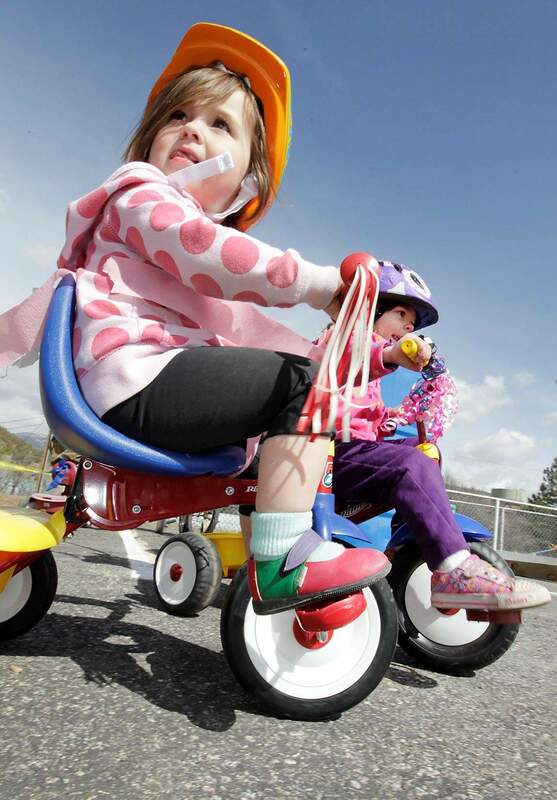 Lily Kinsella, 2, left, and Shawna Taluc, 3, were among the eager participants in St. Pauls trike- and bike-a-thon. Lily is the daughter of Patrick and Breeah Kinsella, and Shawna is the daughter of Star Shacklett and Dwayne Tulac. Preschoolers at St. Pauls Lutheran Church rode for 30 minutes Friday to raise money for St. Jude Childrens Research Hospital. Preschoolers in Durango hit the blacktop Friday to raise money for St. Jude Childrens Research Hospital. 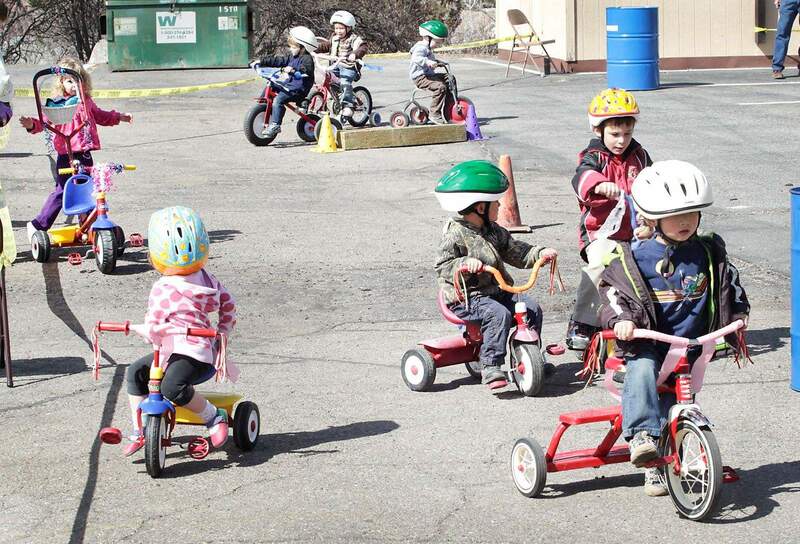 A dozen St. Pauls Lutheran Church preschoolers tricycled for 30 minutes during the schools trike- and bike-a-thon at the church, 2611 Junction St. The kids rode around a loop in the parking lot that included cones and steel drums. The church holds an annual fundraiser, and this year the benefactor was Memphis, Tenn.-based St. Judes, said Joyce Lundberg, director of the preschool. The children learn bike safety, and it also teaches the children about helping others, Lundberg said. Friends and family sponsored the children during their short marathon ride, with their pledges contributing to St. Judes. Immediately following the ride, lunch and drinks were served to the hungry participants.